High-growth companies can’t afford to be distracted by real estate ownership and all that comes with it. Resources hover around maximum capacity, and cash must remain available to support revenue centers. TRI Holdings offers singular full-service real estate development, from site selection and acquisition to design, construction and maintenance. We turn the traditional developer-tenant relationship on its head and collaborate with you to design a competitive lease and a building that reflects the essence of your brand and strengthens your operations. We devise non-traditional financing solutions that demand less investment and negotiate government incentives and approval. Our direct connection to one of the area’s best commercial general contractors provides additional value engineering. All of that allows you to focus on your core competencies. TRI was born a single-purpose entity, founded to facilitate the transformation of an iconic southern Wisconsin village and fortification of a national retailer’s exponential growth. Now we’re wired to do it again. And again. And again. 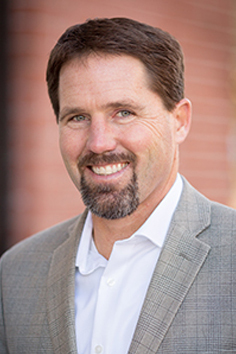 Jeff Grundahl brings to TRI more than 30 years of experience in real estate development and construction. His entrepreneurship and dedication to his team and the client has driven significant growth and left a positive impact on the industries and communities in which his companies operate. 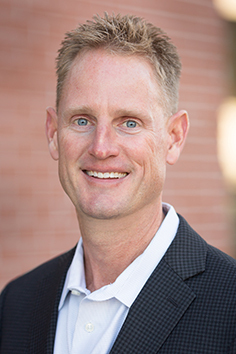 Jeff founded JG Development in 1990 and, together with his wife Mary Grundahl, expanded it to encompass development services and four construction divisions, including commercial general contractor National Construction. Jeff and Mary recently began to transition the family of companies to employee ownership. Jeff was instrumental in facilitating collaboration among all stakeholders to site the Duluth Trading Company corporate headquarters in Mount Horeb. In addition to his roles at TRI and JG Development, Jeff serves extensively in the Mount Horeb area, and in the construction industry on a local and national level. Tom Walzer is the financial architect of TRI. He has a wealth of executive leadership experience in retail and consumer packaged goods, in addition to brownfield and greenfield industrial and commercial development. Tom has a unique understanding of the importance of place within company culture in times of growth and change. Tom is owner and CEO of Middleton, Wisconsin-based SACO Foods, and led its transition from family ownership while maintaining its enduring commitments to quality and community through the foods they produce, the long-term loyalty of their employees and customers, and their stewardship of the natural environment. He honed his financial acumen as CFO of Spectrum Brands for more than 15 years. Following that, he purchased Ancora Coffee and among other growth initiatives, led a rebranding of its retail stores. In addition to TRI Holdings, SACO Foods and Ancora Coffee, Tom is very involved in the Madison and Middleton business communities. Duluth Trading Company’s corporate headquarters in downtown Mount Horeb, Wisconsin, is complete. Get in touch to learn how TRI Holdings partnered with the retailer to secure financing and municipal partnership, and view photos and floorplans of the 108,000 square foot structure.